In the fall of 1986, out of a love for Dover and a desire to give back to this community, GKC founder Muriel Schwartz joined forces with several other community leaders in search of a way to improve the quality of life in the greater Dover area. 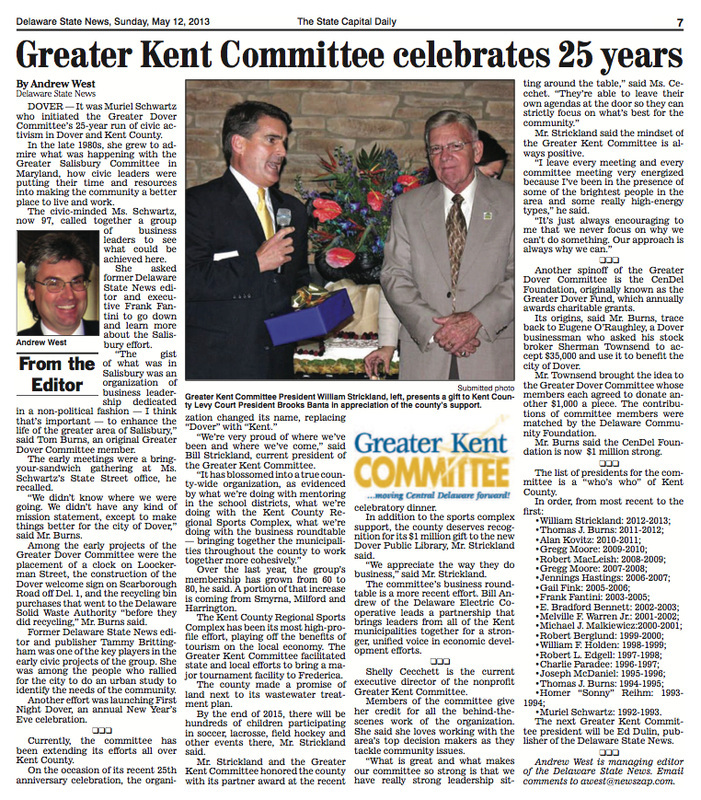 By December of 1988 the original steering committee, consisting of Muriel Schwartz, Pete Brockstedt, Karl Dorzback, Frank Fantini, Jim Flood, Jr., Terry Jackson and Jerry Records, had invited 19 additional civic minded business leaders to join their efforts and the newly formed Greater Dover Committee set out to fulfill their mission. In 2010, the mission of the Greater Dover Committee expanded to focus on all of Central Delaware. 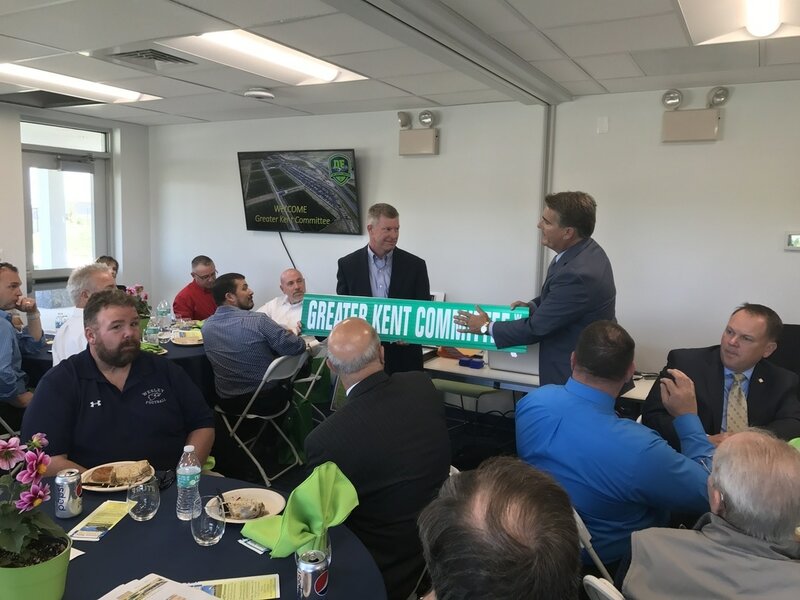 Shortly after, the organizations name Greater Dover Committee was changed to the Greater Kent Committee to reflect the broader mission of the organization.